Hereford and Worcester Moths: Blackhouse Wood. 05/08/2016. A Wildlife Trust public event. Blackhouse Wood. 05/08/2016. A Wildlife Trust public event. On Friday evening the Trust organised an 'Introduction to moths' event for the public. This consisted of a talk at the education centre at the Knapp reserve followed by light trapping at nearby Blackhouse wood. Tony Simpson gave the talk and I joined him later at the wood to help with the traps. The night was initially very warm and muggy, but cleared quite early on taking the temperature down to a rather average 11 or 12 degrees by midnight. At least it was calm so there were a fair few moths for the enthusiastic attendees to see. Inevitably, the star find did not appear until the public had gone home. White-line Snout is new for VC37 and was quite a surprise. 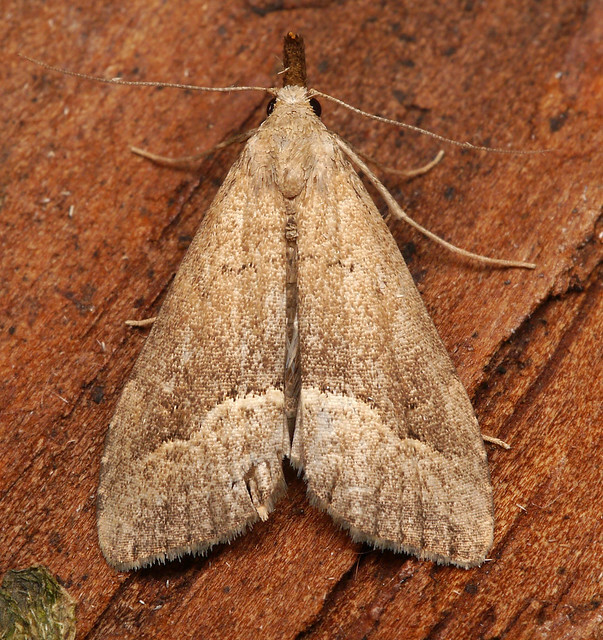 There were a few other good records including Barred Rivulet, Scoparia subfusca and Zeiraphera ratzeburgiana. 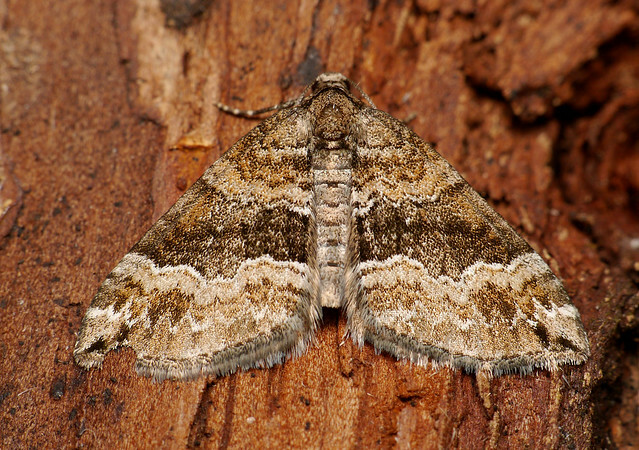 The local speciality Blomer's Rivulet was common but most were quite worn. The most common moth of the night was Buff Footman. Easily over 100 were shared between 6 traps.